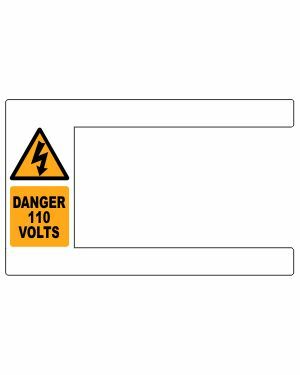 Used by electricians and electrical contractors, these live electrical cable identification labels are to display voltage on cables and to distinguish between live cables and dead cables. If you are re-wiring, you may need to clearly identify live cables and the voltage from the old condemned dead cables. 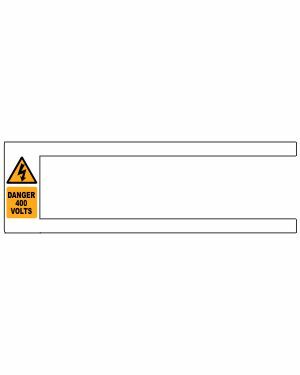 We have developed these wing type labels to help keep them in place even when cables are dirty or greasy. The wings on these labels go right round the cable keeping them in place. Used by leading electrical contractors for safety reasons they are tried and tested and have proved be a great success on site.